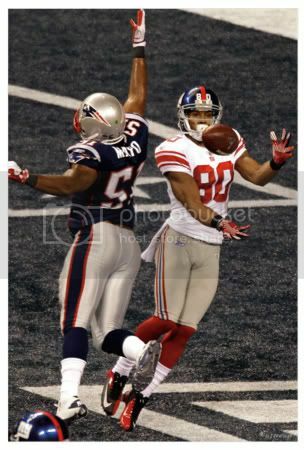 Victor Cruz Fantasy Trade for Harvin and Floyd? I have been offered Percy Harvin and Malcolm Floyd in exchange for Victor Cruz. Do you think I should accept trade? Thanks for writing in. This is an interesting fantasy trade offer, let’s look at it a bit further: Percy Harvin is without a doubt the most dynamic play-maker on the Vikings Roster (aside from Adrian Peterson of course) He is the undisputed number one fantasy football wide receiver on the team and should put up somewhere around 1,000 yards with 7 or 8 touchdowns. Malcolm Floyd looks to inherit the void left by Vincent Jackson’s departure in San Diego. In years past, San Diego has had one of the league’s most potent passing attacks. If Floyd can fill that number one wide receiver role then you’ve got late round fantasy gold! On the flip side, Victor Cruz is currently one of the league’s most electrifying playmakers and therefore hard to give up. I personally feel he was a bit lucky last season scoring on many big plays but it is hard to argue with the results! If it is me, there is only one reason to make this deal – depth. Taking Floyd and Harvin puts your eggs in two baskets and I get the feeling Floyd could be a sneaky top ten wide receiver by season’s end. The question you need to ask yourself is how is your current wide receiver depth? Who is your current number two fantasy wide receiver? If your current number two wide out is anywhere near the production level of Percy Harvin I say pass. Malcolm Floyd is the real wild card here. The difference between the two is that Victor Cruz is top ten while Malcolm Floyd could be top ten. All in all we have a very fair trade on our hands but if you do not need the depth, do not take the deal.